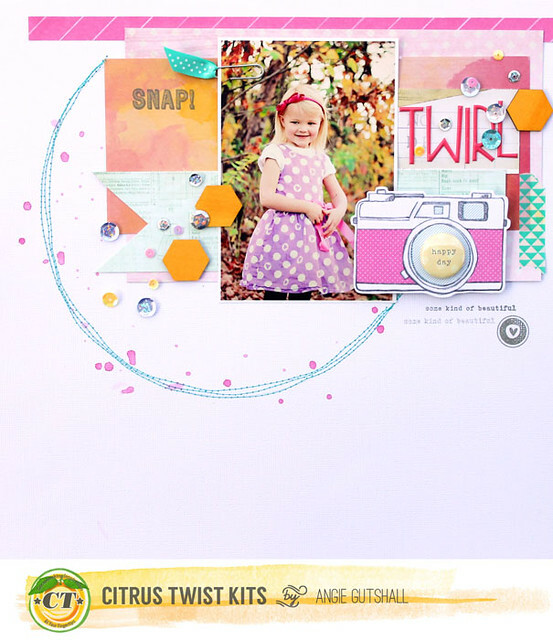 I just realized I completely forgot to share my Citrus Twist Kits for October with you all. These were some of my favorite layouts. I really LOVED this kit! I can honestly say this kit has been my favorite! 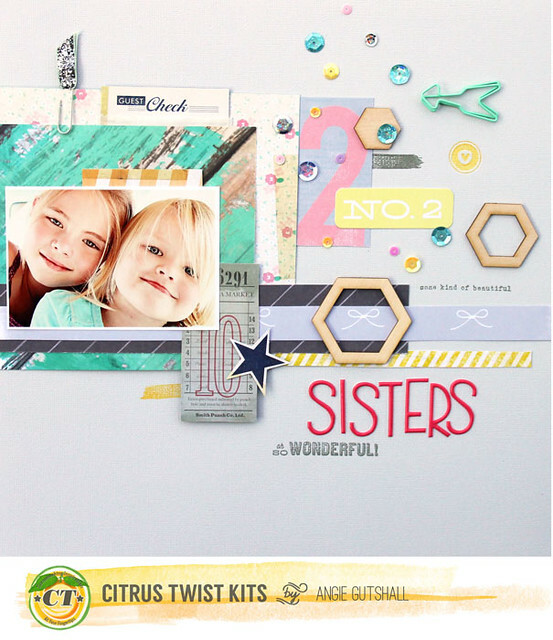 Beautiful layouts, I can't pick a favorite, and I just might pin them all! 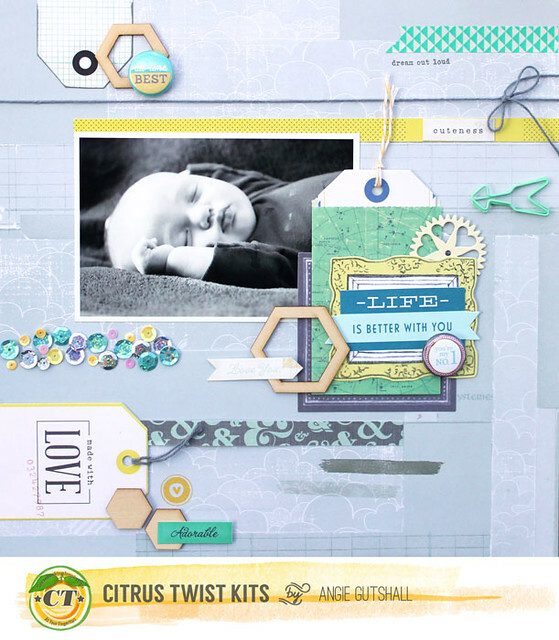 You rocked this kit, Angie! I love each and every one! Adorable pages Angie!! Love that you used the sequins on each one!! Those things are addicting!! I can see why it is your fave. The colors are so beautiful and your layouts are amazing!! Wow! These layouts are all truly beautiful! Love how you layer all of the little bits!